The 2019 Chiefs Preseason opponents have been released! 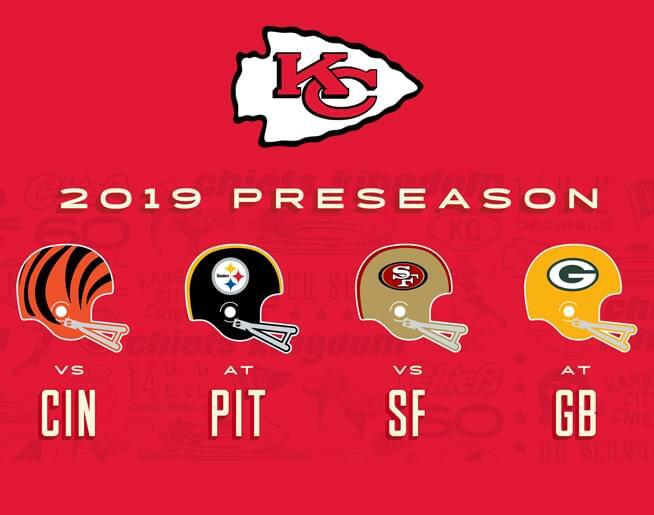 The Kansas City Chiefs will kick off their preseason slate at Arrowhead Stadium against the Cincinnati Bengals followed by a road trip to Pittsburgh in preseason week two. The Chiefs then return home to face the San Francisco 49ers before finishing their preseason slate on the road against the Green Bay Packers. Dates and times will be announced as soon as they are finalized.